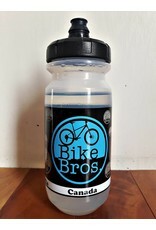 Bike Bros Water Bottle 600ml - Enduro approved equipment for MTB - Bike Bros.
600ml is the scientifically proven best amount of water for a 75 minute ride which happens to be about as quickly as most people do the Merlin loop at West Bragg Creek. 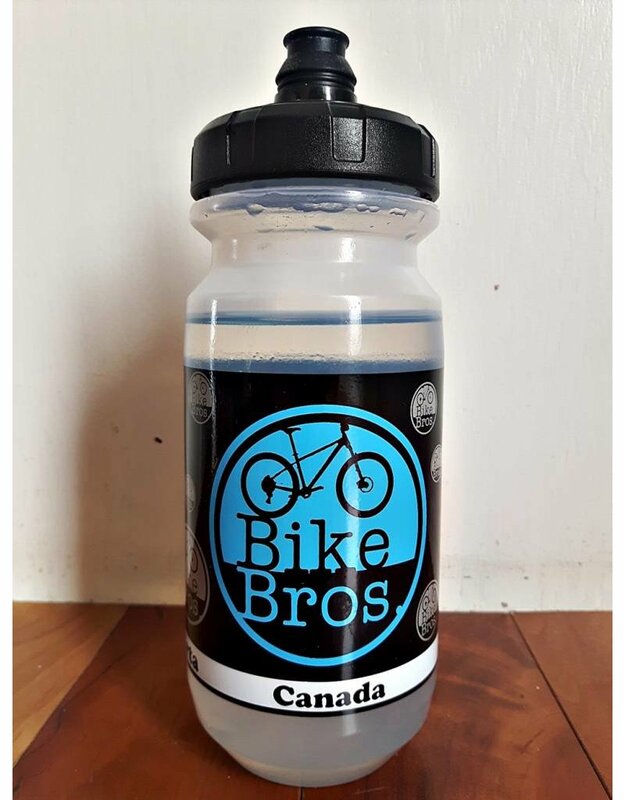 Get the water bottle designed for the riding you do! As you squeeze the bottle, the nozzle shapes the H20 molecule to the most satisfying shape possible for thirst quenching hydration. Please don't assume we know what we're talking about regarding molecules, hydration or speed of riding the Merlin loop. We just found bottles that we thought were really good, kept water tasting like water and fired a bunch of water in your mouth when squeezed. The rest is made up malarky.